The Government has today announced the publication of a call for evidence that could result in an overhaul of the dismissal process. The Government is seeking to establish “whether current dismissal procedures are too onerous, too complex, and whether or not there is a lack of understanding in their application”. In addition, ministers are also seeking employers’ views on the feasibility of the proposed compensated no-fault dismissal process for businesses with fewer than 10 employees. The idea was first put forward in a report on employment law reforms by venture capitalist Adrian Beecroft in 2011, and Chancellor George Osborne hinted at its introduction in a speech given to the manufacturers’ association EEF last week. Under a compensated no-fault dismissal system, employers could dismiss a worker, where no fault had been identified on the part of the employee, by paying of a set amount of compensation. 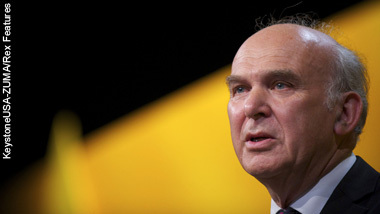 Announcing the call for evidence, business secretary Vince Cable said: “We recognise that there is room for improvement which balances the needs of business while ensuring that the necessary employment protections are upheld. “We are already implementing a radical package of reforms to the employment tribunal system and increasing the qualifying period for unfair dismissal from one to two years. These are all measures that will help improve the way businesses hire, manage and end a working relationship. “But we also recognise that not all jobs work out for both parties – the staff member doesn’t quite fit or simply the relationship has irretrievably broken down. And, for micros in particular, who often don’t have legal or HR teams, the process to let a staff member go can be a daunting and complicated process. Today’s announcement was welcomed by CBI director-general John Cridland, who said: “This announcement is a step in the right direction, which will help reduce unemployment in the long term. “Businesses tell us the current dismissal process needs to be reformed. Introducing compensated no-fault dismissal would give firms confidence to hire, as employer and employee can part ways with no fault on either side, and workers would have sufficient money to allow them time to find a new job. For more information on today’s announcement, see XpertHR’s coverage.